After Singapore, Hong Kong, Seoul, Bangkok, Tokyo, another great Asian city is charmed by the elegance and camaraderie of Le Dîner en Blanc: Taipei, capital of Taiwan Island. On this small island state, Taipei is a modern city with Chinese and Japanese inspirations. The city is also famous for its many national parks, night markets, and especially its skyscraper Taipei 101. Who knows maybe guests will also see it from the secret location chosen by the hosts! We’ll find out on November 3rd. 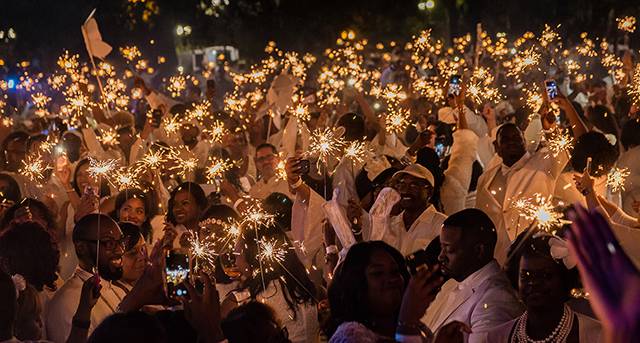 The success of Le Dîner en Blanc - Houston is undeniable! Every year, the event brings together more and more friends who want to take part in this incredible experience. What will Hosts Erica Gordon, Rebecca Roussell and Ronald Evangelista propose this year? November 9 – 3 Events from the East to the West Coast of the United States! 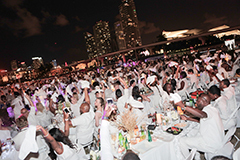 The day starts on the east coast with the 4th edition of Le Dîner en Blanc - Miami. City of white sanded beaches, colourful buildings and South American influences, Miami is preparing for another elegant picnic hosted this year by a new team. After Palm Court, the New World Symphony Park and the Herald Building, where will this new team take their guests to enjoy a beautiful night under the stars? 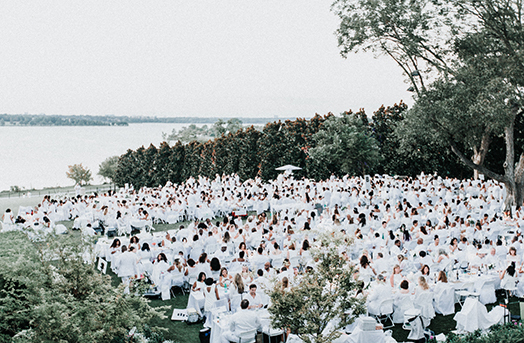 Same scenario for Le Dîner en Blanc – Dallas, a 4th edition with new hosting team! Exciting news: in addition to offering delicious gourmet baskets, guests can order fine pastries from celebrity pastry chef Tida Pichakron! For guests with a sweet tooth, you can choose between macaroons, a raspberry-frangipane tart, chocolate mousse, and more. Delicious! 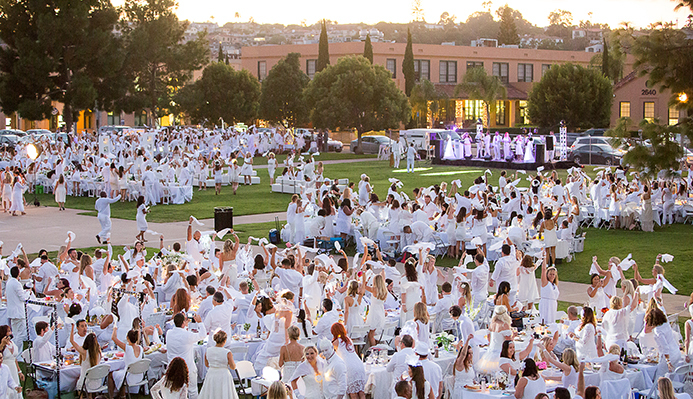 Nicknamed America's Finest City, San Diego is back this year with a 7th edition of Le Dîner en Blanc. With more than 2,000 people last year at the Liberty station, the event has now become a yearly tradition for many. A new hosting team is on board for the 2018 edition of this elegant and magical evening! 2017 saw the grand premiere of Le Dîner en Blanc in Buenos Aires** at Oceana Puerto Madero. A successful first edition plus spring time in Argentina, no doubt that this year's festivities will gather even more friends in a prestigious kept-secret location to dine and toast the largest metropolis of the country. The first edition of Le Dîner en Blanc - Fraser Coast in Australia gathered nearly 500 people at the Mary River Harbor for a magical night. Like Buenos Aires, this second edition should charm even more guests. **Due to heavy rain and wind, Le Dîner en Blanc - Buenos Aires will now take place on November 17! Nearly 1,300 people dined and danced at Lake Eola Park last year in the spirit of celebration and magic unique to Orlando. 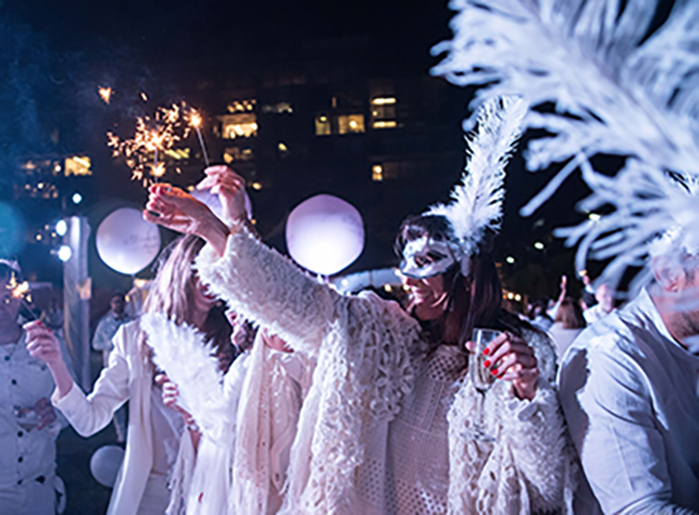 This city boasting nearly 52 million visitors a year, thanks to its theme parks, but also for its relaxed lifestyle and climate in the Sun Belt, is ideal for Le Dîner en Blanc. The hosts have been working hard in making sure this third edition is filled with pure joie de vivre. November 17 - Year 7th for Sydney! 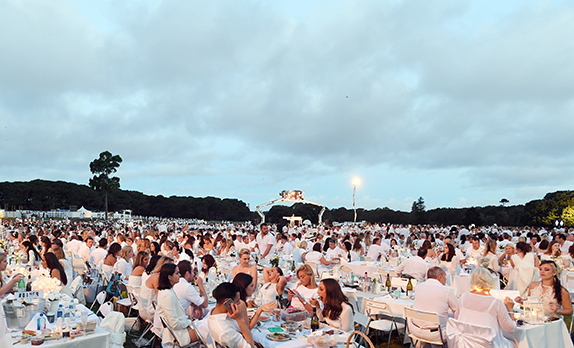 In the likes of Paris and New York, Le Dîner en Blanc - Sydney is one of the most important events, attracting more than 5,000 people every year. The secret of its success is to be able to count on an army of volunteers as passionate about the event as the hosting team. In Sydney, more than a hundred people give their time to ensure that guests are informed and guided to the secret place and make the evening unforgettable. The Grand Premiere of Le Dîner en Blanc - Havana Postponed until Spring 2019! Counting on Cuba tourist attraction, the hosts believe that the many of Le Dîner en Blanc enthusiasts would love to be part want to be part of this historic premiere. So to make sure of it, they have decided to posponed the grand premiere of Le Dîner en Blanc - Havana to the Spring of 2019. Date to be announced soon. For those wanting to participate, please visit their official webpage and sign up to the waiting list. For all the details and news regarding the events of the month, please visit their webpages.